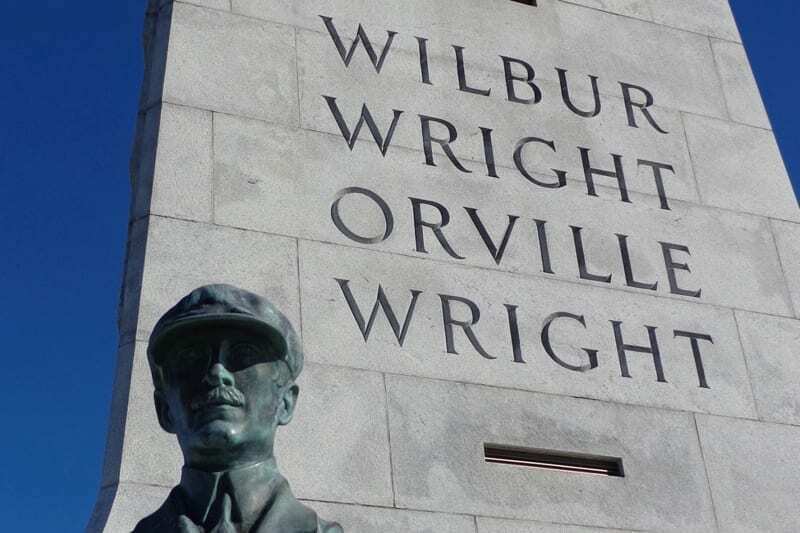 The First Flight Society and the National Park Service continued the tradition today of honoring the accomplishments of Wilbur and Orville Wright at the 115th anniversary celebration of the first heavier-than-air, controlled, powered flight. The event took place outside of the Wright Brothers National Memorial Visitor Center and park entrance fees were waived for the day. The celebration began at 8:30 am and include speakers and presentations. The celebration concluded at 10:35 a.m. with a small aviation flyover with NASA aircraft paying tribute to the Wright brothers at the documented exact moment of the Wrights’ first flight. Park rangers provided interpretive walks throughout the day. This event when there was a real flyover attracted many folks from all over. Been watching this event for over 60 years and can say there were some great ones. 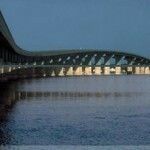 I don’t know who plans the pathetic flyovers that have taken place recently but they ought to be ashamed of themselves. Might as well discontinue it altogether. The flyovers have gone down hill every year since the 100 year one. People use to come in by bus loads but not any more. Isn’t that the truth, jim bunch! I wonder if the flyover were downsized because of military budget tightness during the sequester, or just different management, either military or First Flight. First time we have to the Anniversary. Must say the whopping 3 plane flyover was something of a let down. The surprise helicopter landing and take off was nice. I rarely fly in anymore. My plane was parked for over 24 hours a few years ago and I was threatened with a 200$ fine. That was enough for me and now there are hardly any aircraft parked at the airport. Probably the same thing was done to other pilots. 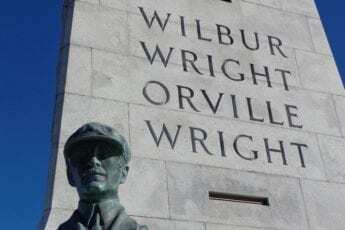 Unfortunately the people now running the Wright Brothers monument do not realize that we the people own the place and they work for the public. Like I ALWAYYYYYS say…. everybody calm down.